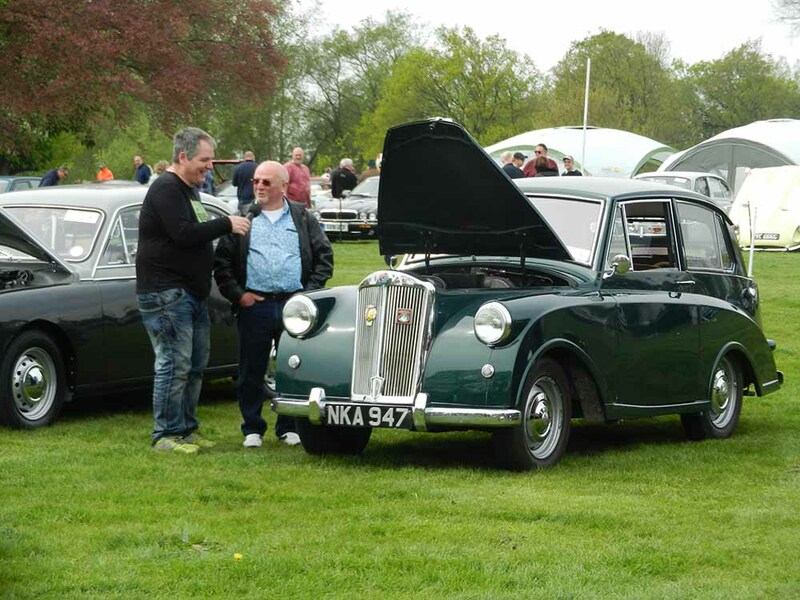 The 18th ‘Catton Hall Classic Car and Transport Show’ took place at Catton Hall, Alrewas (near Lichfield, Staffordshire) on Sunday 30th April 2017. The setting was very attractive, being located alongside the River Trent. The show was described by the advertisers as a ‘super one-day event’, catering for classic enthusiasts and all the family. It certainly lived-up to its own ‘hype’, with over 700 classic motors in attendance (both pre- and post-war). There were military vehicles (including some American examples), plus classic motorcycles and even some modified motors (which seem to have a habit of turning-up at these gatherings). Of course, there was also a good selection of trade and autojumble stands. Paul Burgess attended with his excellent ‘NKA 947’ and managed to win third in class. Well done Paul, plus, of course, your car!